ALBUQUERQUE – The Department of Justice issued findings that the Albuquerque Police Department (APD) engages in a pattern or practice of excessive force, including deadly force, on April 10, 2014. The City of Albuquerque has agreed to enter into negotiations to reach agreement on a blueprint for reform. Ultimately, like all police departments engaged in effective and constitutional policing, APD will function best when it does so in collaboration with the Albuquerque community. DOJ currently is organizing meetings to take place in Albuquerque during the week of April 28th. DOJ representatives will meet with individuals and organizations who broadly represent the community’s concerns, including advocacy organizations, civic groups, City officials, victims, and police officers and their union. The purpose of these meetings will be to collect the wisdom of those who know APD better than we ever could and to use that wisdom to strengthen the many reforms that are needed. 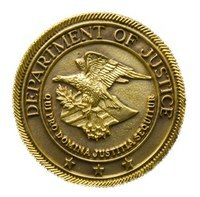 DOJ’s full report on its investigation of APD and other related information can be found at http://www.justice.gov/usao/nm/APD.html. For more information about DOJ’s Civil Rights Division, please visit www.justice.gov/crt/.